At the end of last week I found myself at the top of Putney High Street doing an interview for Newsnight about CCTV. Following a series of freedom of information requests the BBC had discovered that Wandsworth had the highest absolute number of CCTV cameras of any local authority (although the Shetlands are the most surveilled per capita) so I was there defending the council against the inevitable charges of Big Brother. Now you might assume I’m anti-CCTV. I’ve posted on civil liberty issues in the past and surely this follows through with CCTV… well, yes and no. It might be there is some cognitive dissonance at play here, with me trying to reconcile a civil libertarian streak with a portfolio of hundreds of cameras. But while I think there can be serious issues with CCTV, I think that Wandsworth are getting it right. Many of the arguments are around issues like privacy. I’d argue it’s hard to be private when you are walking along a busy high street. If you are in plain view, it doesn’t make much difference whether you can be seen by a man on the other side of the road, or by a man operating a camera on the other side of the road. In fact, when you start examining the argument it is not the CCTV itself that is the problem, but to what use that CCTV is put. And this is the real nub of the matter. It is, frankly, irrelevant how many cameras there are in Wandsworth. What is relevant is the way we use them, and also the way we don’t use them. CCTV is a tool. Nothing more, nothing less. In some places it is appropriate to use it, in others it is not. 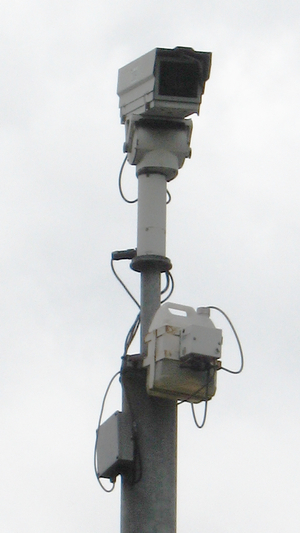 So in Wandsworth we have CCTV installed in town centres, but have a policy not to install in residential areas, and have a very strict code of practice regulating how we use it where installed – you’ll never see a Wandsworth recording featured on Police, Camera, Action. In return we have an incredibly valuable resource. Around half of all prosecutions brought by the police use CCTV footage as evidence. And it helps beyond crime. The council’s well trained CCTV operators have found lost children and prevented suicides. My concern with CCTV is that far too many people see it as a panacea. So, for example, if there is a problem with anti-social behaviour residents assume installing CCTV will solve it. In fact, it’s only likely to move it, meaning that someone else will start facing exactly the same problems. Whereas there are probably all sorts of other things that would deal with it. The police might patrol and area, the council’s youth services could engage with youths, it might just be that a little mutual understanding and dialogue will make all the problems disappear overnight. And at its worst it stops people taking responsibility for their own lives. For example, we’ve been asked to install CCTV in a residential area to prevent burglary, not because there was a particular problem, but as a preventative measure. Naturally, we offered the usual security advice (there is a lot you can do, very cheaply, to secure your home) but it is concerning that people’s first thought was not to fit window locks or a London bar to their door, but to request their area be covered by a CCTV scheme. And that is my biggest fear for CCTV. Wandsworth has shown that with robust controls CCTV can be a valuable tool in the fight against crime and making Wandsworth the safest inner London borough. We need to make sure that the price we pay isn’t a loss of personal responsibility. What do you think? Do we have too much CCTV? Or don’t we have enough? Many have remarked upon the growth of the surveillance society, with CCTV cameras, Oyster card following our underground journeys, our mobile phones tracking our overground position, every electronic transaction leaving its data trail and many a modern shopkeeper like Tescos trailing our choices of budget or premium brands. But I agree with you, surveillance in society is not a problem per se, though I would suggest that there are two significant issues worthy of attention. 1) The public mandate needs to be carefully maintained. Your reasoned debate helps here to counter the alarmist media. We must continually persuade others that the benefits, that is the common good delivered by surveillance, outweigh the costs (fiscal and personal privacy). It is noteworthy the effort Tesco expend to constrain their use of clubcard data to stay within their understanding of their customers’ consent. Their customers can of course vote with their feet more readily than your Wandsworth constituents. 2) We should be more explicit in the consideration of the ethical implications of surveillance. Perhaps Ethics Councils could be usefully established to consider codes of practice with respect the appropriate level of surveillance, in a similar manner to areas of academic reseach. Security Cameras are now basic need to control crime and robberies. Now every High Street is cover with CCTV Cameras! I’m in favor to cover all the country with CCTV Cameras.